PREMIER INSPECTIONS WOULD LIKE TO HONOR MARTIN LUTHER KING BY GIVING YOU $35 OFF…CALL TODAY AND SCHEDULE YOUR HOME INSPECTION 817-637-6837! PREMIER INSPECTIONS WOULD LIKE TO HONOR MARTIN LUTHER KING BY GIVING YOU A $35 OFF SPECIAL..SO CALL TODAY AND SCHEDULE YOUR HOME INSPECTION 817-637-6837! The nation will pause Monday to celebrate Martin Luther King Jr. Day. The federal holiday commemorates the civil rights leader’s birthday, which is actually Jan. 15. Nationally, the holiday is observed on the third Monday of January. This year, that’s Jan. 18. MLK Day is similar to other holidays set under the Uniform Monday Holiday Act. In 1971, the act moved George Washington’s Birthday (Feb. 22), Memorial Day (May 30), Columbus Day (Oct. 12), and Veterans Day (Nov. 11) from fixed dates to designated Mondays. Veterans Day was moved back to its traditional date in 1978. President Ronald Reagan signed the King Holiday Act in 1983. 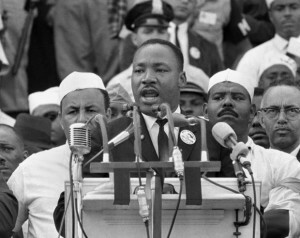 U.S. Rep. John Conyers Jr. of Michigan introduced the first legislation seeking to make King’s birthday a federal holiday 15 years earlier, months after the civil rights leader was assassinated on April 4, 1968. The Southern Christian Leadership Conference presented Congress with a petition signed by more than 3 million people supporting a King holiday that same year, according to Time magazine. The bill languished in Congress for eight years, unable to gain enough support until President Jimmy Carter vowed to support a King holiday. King’s widow, Coretta, testified before joint hearings of Congress and organized a nationwide lobby to support the bill. Yet in November 1979, Conyers’ King-holiday bill was defeated in the House by five votes. Coretta King continued her fight for approval of a national holiday, testifying before Congress several more times and mobilizing governors, mayors and city council members across the nation before the bill eventually passed. Martin Luther King Jr. Day was set on a Monday, following the tradition set by the Uniform Holiday Act. That act was designed to increase the number of three-day weekends for federal employees.